Welcome to Hong Leong Yamaha Motor | THE “KING OF MOPEDS” LAUNCHED! THE “KING OF MOPEDS” LAUNCHED! 18 Mar THE “KING OF MOPEDS” LAUNCHED! 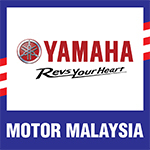 Hong Leong Yamaha launches new Yamaha 135LC. Putrajaya, 18 March 2011 – Hong Leong Yamaha Motor Sdn. Bhd. introduced the new Yamaha 135LC, a 4 stroke, 135cc liquid cooled moped, today. The launch was officiated by the Minister of International Trade and Industry, YB Dato’ Sri Mustapa Mohamed. “The new Yamaha 135LC models come with new features and benefits and marks a new milestone in the history of Hong Leong Yamaha Motor as we continue to excite the moped segment with innovative models that inspire our customers and position ourselves at the forefront of technology, performance and innovation” said Mr C. H. Ng, Managing Director of Hong Leong Yamaha Motor. The motorcycle industry recorded a total of 495,373 units in 2010, an increase of 10% compared to the demand in 2009 of 449,291 units. The moped segment commands 85% of the total motorcycle demand. Stable commodity prices, revival of projects and other contributing factors have helped the industry to show a robust growth in the first two months of 2011. “Together with the new Lagenda 115Z series launched in May last year, today’s launch of the new Yamaha 135LC completes Hong Leong Yamaha Motor’s 4 stroke moped line-up. 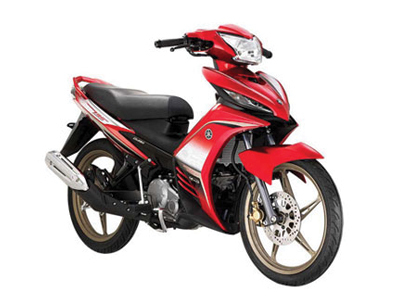 Customers longing to possess a premium Yamaha 4 stroke moped bike that is suitable for their everyday commuting needs, need not look further” added Mr Ng. “We are positive that the new Yamaha 135LC will live up to its concept as the “King of Moped’ as it will generate the highest level of excitement and satisfaction in a moped based on the core values of advanced “blade” design, pride of ownership and pure riding pleasure” said Mr Ng. The Yamaha 135LC is priced at RM 6,118 for the auto clutch and RM 6668 for the hand clutch variant (excludes road tax, insurance & the number plate) and is available at all authorized Yamaha dealerships nationwide.